In September of 2011 I got an idea to add a memorial for Grandma Preussler, on Find-A-Grave and from that idea sprang a “little project” that would take me nearly five years to complete. Grandma Preussler is Olive V. (Herring) Preussler, she is not my grandmother by blood. However, I have always called her grandma and she was a very important person in my life, growing up and someone who I adored. I wanted to make sure her memory was preserved and thought a virtual memorial would be a great avenue to accomplish this goal. I did some researching and found her grandson Alan Sewell and contacted him and explained what I wanted to do and why. By happenstance, he had just been to the Teakean Cemetery and had taken a bunch of photographs of the gravestones, which he sent to me. I created memorials online for everyone and uploaded the photographs over a weekend. This gave me a great sense of accomplishment, which lasted about a week. I knew there were many unaccounted for burials at Teakean and I soon became determined, perhaps obsessed, with documenting everyone at rest there. I began scouring old newspapers, reviewing death certificates and contacting everyone and anyone who came up with a Teakean connection on the Internet. Five years have passed and I believe I have a comprehensive list of the burials at Teakean. I am grateful to all of the individuals who have answered my questions, provided documentation, photographs and supported me throughout this project and I cannot thank them enough. The Teakean Cemetery contained only four online memorials when I started this project, there are now over a one-hundred and thirty. Keep in mind, Idaho did not begin maintaining vital records until 1911, five years after Teakean Cemetery’s earliest known burial. All of the names listed above were members of the German Baptist Brethren church, often referred to as Dunkards. The church was first known as the Grafton Church. 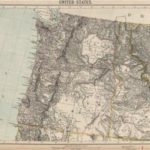 In 1903 several families, from the church came west, from Illinois and settled in the Teakean area. 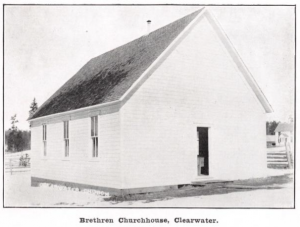 In the summer of 1904 plans were formalized to build a church building on land donated by William M. Harlacher and on October 21, 1904 the Clearwater church house was dedicated. Although the cemetery was not officially part of the Clearwater Church, it was the primary place for burials of church members and was named the Clearwater Cemetery, at the time of its inception. The land for the cemetery appears to have been donated by Ellis A. Patterson; he was given first choice of lots, according to the minutes of the first association meeting. In 1957 the Clearwater Cemetery District was renamed the Teakean Cemetery District and the cemetery became known as the Teakean Cemetery. I have also submitted the files to Interment.net and you can view the cemetery records by clicking on the link HERE. I am glad you enjoyed the article, stayed tuned, I am working on Grandma’s story and hope to post it soon. 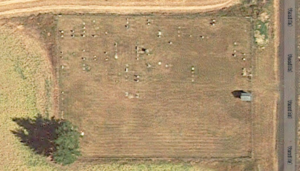 I have been trying to figure out where my mom’s plot is there so I can add a stone. Who do I contact? My grandparent Tob and Crystal Baysinger bought one for her but I just didn’t know who or how to get that information. I have forwarded your information to Trina. I have edited your original comment, for privacy purposes, before publishing it here on the website. Thanks for your help. I enjoyed reading this story and very informative. Look forward to more. Hi, I did receive your 1st message and I did some research on the Starr family. I have added them to the tree but have not uploaded a new copy of the tree to this website yet. 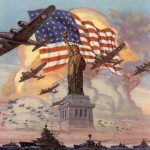 I have not been able to find a death cert, or burial information on William C. Starr. William was born in Iowa about 1868. 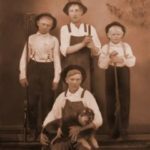 He married Eva Bowman on July 17, 1898 and they had the following children: Elmer Howard b. 26 Jun 1899; Alvin Chester b. 7 Nov 1900; Hubert V. b. 27 Jul 1903; Gladys Belle b. 27 Nov 1905; Roy Victor b. 8 Oct 1907; Emma Joy b. 16 Nov 1909; John Francis b. 8 Jul 1912. William and Eva were living in Teakean at the time of the 1920 census. I have not found either William, or Eva in a 1930s census. Eva married John Phillip “Jack” Kelsey before 1940. Jack died in 1962 and Eva passed on Feb 5, 1956. Eva is buried at Normal Hill, in Lewiston. Do you have any info on where William might be buried? Elmer, Alvin, Emma and Hubert are all at Normal Hill, Roy’s wife Esther is also at Normal Hill. John and his wife Bonnie are at Riverside Cemetery, in Orofino. 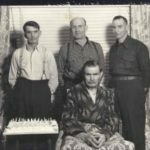 There is another Starr family who lived in the Leland area, do you know if they are related to your Starrs? I found the photo in the January 2, 1915 edition of The Gospel Messenger, she died in November of that year. I have sent the photo and a copy of the article to your email, listed on this comment. If you have any info you would like to share, please respond to the email I sent. I have forwarded your contact info to Claudia. Thank you for all your efforts to provide the history and information on the Teakean Cemetery and the burials. We had to good luck to visit it a few years ago to see the grave of Cheryl Cosner, my cousin, and her mother, Lena Burns. Just wanted to let you know that her mother’s name was Lena rather than Mary as is noted in the spreadsheet. I am happy to know you were able to find information here that helped in your research. I did some checking on the Mary vs. Lena name of your grandmother. I have found her obituary and it was published on Jan. 2nd in the Lewiston paper. It lists her as Mrs. Mary Ann Burns and all of the children, including Lena are named. I can send you copies, if you would like. Do you know if perhaps she went by Lena? If so, I will update the file to reflect this. Thanks for contacting me and I am glad to know you are enjoying the site. Thanks for all your hard work and attention to detail on your genealogical project. I have had a hard time tracing my Herring’s Pennsylvania roots. Your efforts confirm that my GGGF and GGGM were Pennsylvanians John and Emeline Herring. Ebenezer Ben Herring was born in Indiana in 1839. With your confirmation as John as his father, I now believe that John’s father was William Herring from Washington Township south of Pittsburgh. The thread is starting to reveal itself. The Herrings wagon trained from Pennsylvania; to Indiana; to Iowa; to South Dakota; to Idaho; to Saskatchewan; back to Idaho. True pioneers. I am glad you were able to find information to help with your research. I do update the trees here periodically, with new information. I am hoping to have some new stories soon, as well. As with all research, this is a work in progress, keep me posted, if you find something that should be added about the Herring line. I thought that cemetery had gone by the name “Choate Cemetery” but it is in Teakean, passed the grange. Anyway, I have a lot of family up there. I can give you further information on the Choates, Powells, Baysingers, Browns and my mom Sharlene Vern Choate/Embree. Also, would you know who I would contact to have a marker placed in that cemetery? I hope we are talking about the same place…. Yes, we are talking about the same place. 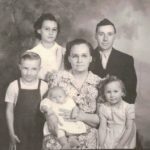 I would be happy to share info, I am a descendent of William Luther and Jennie Bert (Holladay) Brown. I will send you an email. 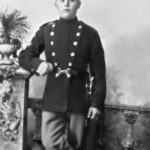 My great grandfather was “Abraham Lorenzo” Garrison. I never knew him, but I have pictures and have done some family tree searches. I have him as Alonzo Abraham. It seems that census’ have him as Alonzo (1870 & 1880), Abraham (1900) & and Abram (1910). I’m curious is there an actual headstone and what does it say? Also, he has 2 sons buried in this cemetery named Chester & James. Do they have headstones. Is there a way of finding out how Chester died at age 16? Do you have access to a death certificate? Hi Andrea, I hope you found some info that helps you, in your research. I have found both Abram and Chester’s death certificates. Chester’s does not list cause of death, apparently a doctor was not called during his illness. I did find an obituary for James, in the “The Gospel Messenger,” it is added to his notes. The spreadsheet on this post lists the names of known burials and both Chester and James are listed. I will send you a report, to the email you used on the comment.